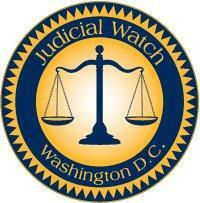 WASHINGTON, Aug. 9, 2018 /Christian Newswire/ -- Judicial Watch announced today that it filed a Freedom of Information Act (FOIA) lawsuit against the U.S. Department of Justice for all communications from the offices of the Deputy Attorney General and the office of the Director of the Organized Crime Drug Enforcement Task Force related to Bruce G. Ohr, his wife Nellie Ohr, Christopher Steele, and Fusion GPS (Judicial Watch v. U.S. Department of Justice (No. 1:18-cv-01854)). Bruce Ohr is the former Associate Deputy Attorney and remains Organized Crime Task Force Director.